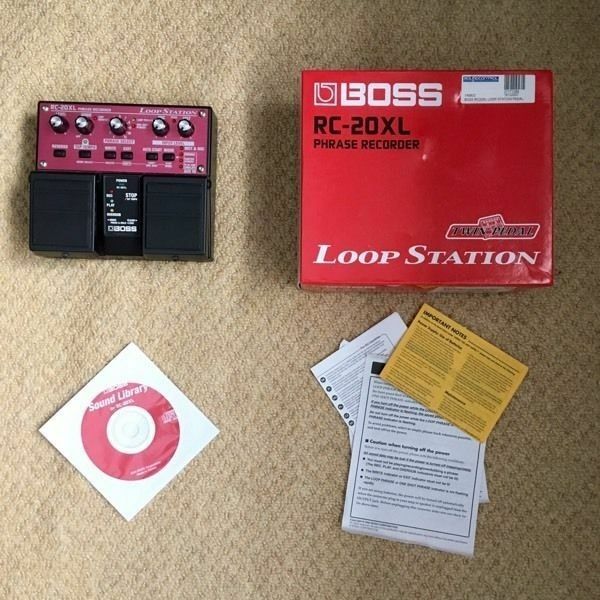 This is a practically brand new Boss RC20XL Looper/Sampler/Phaser pedal with all the original materials/paperwork, packaging, and I’ll even throw in a power adapter. The pedal is in perfect condition and has only been used a handful of times at my home studio. 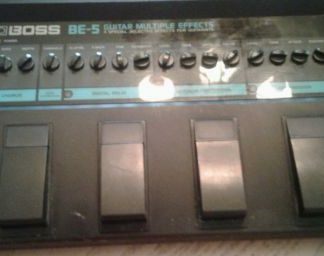 I originally got this pedal to use as a solo performer; however, that never worked out so I don’t need it anymore. Here are all of the item specifics/features taken from the Boss website: “Whether for use onstage or at home, the new RC-20XL allows musicians to create multi-layered performances in real time. Loops and riffs can be stacked repeatedly until the 16 minutes (!) of ample recording space is full. Never before has it been so easy to create a massive “one-person band” sound in real time. “-The RC-20XL picks up where the popular RC-20 leaves off, as it offers more recording time and more features, but at the same affordable price as its predecessor. The RC-20XL inherits the same “hands-free” pedal operation from the RC-20: Record, Play, and Overdub can be done with the left pedal — all the while your hands are free to play your instruments. But now you get approximately 16 minutes of recording time to capture and store loops or one-shot phrases (three times that of the RC-20), and you can work your way backward thanks to the new Undo function, a necessity when making mistakes during overdub.-The RC-20XL has 11 memory tracks, in which you have the choice of storing either one-shot phrases or loop phrases. During your performance, you can switch between the tracks with an optional FS-6 Dual Footswitch, or two FS-5U footswitches (momentary-type). The Undo function can be a useful and musical function for erasing your previous phrase and instantly layering a new one. After you have dazzled your crowd, now its time to bring it to an end. The RC-20XL offers three stop options for this purpose. When you hit the pedal, you can either immediately stop the playback, let the phrase play until the end, or fade it out.